Bio I'm a Toronto-based freelance writer, editor, researcher and mentor, with 20 years' editorial experience. I've created a substantial body of freelance work, with a diverse and notable range of publication credits, interest and clients, including The Globe and Mail, the Art Gallery of Ontario, House of Anansi Press, Canadian Children's Book News, McMichael Canadian Art Collection, Writer's Digest Books, Havergal College, PwC Management Services, Toronto Foundation, D.F. Plett Historical Research Foundation, Dundurn Press, Quill & Quire, Sunnybrook Research Institute, Owlkids Books, Canadian Actors' Equity Association, Ontario Dental Association, Canada Foundation for Innovation, Upon A Star Books and Oxford Properties Group. 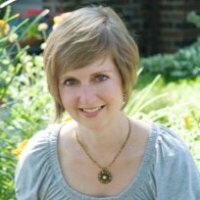 With extensive experience in magazines, book and custom publishing, and marketing and communications, I work on everything from adult and children's fiction and non-fiction, consumer and trade magazines, web/blog copy and (e)newsletters to ads, brochures, reports/guides, curatorial content and book reviews. I'm currently working on my first book, a YA novel. I volunteer my time as: vice-president, CAA – Toronto; co-chair, Editors Toronto; administrative director, Rowers Reading Series; a writer and editor for BoldFace, the blog of Editors Toronto, as well as for other publications, projects and events for Editors Toronto and/or Editors Canada such as the annual conference and The Word On The Street; a copy editor and proofreader for Networds, the blog of PWAC’s Toronto chapter, and Pulse, the enewsletter of PWAC's Toronto chapter; and a mentor to novice writers via PWAC. I also mentor novice editors via Editors Canada. I have an honours bachelor of arts in sociology and mass communication from York University and a bachelor of applied arts (journalism), specializing in magazines, from Ryerson University. Publications My work has been published in/on Quill & Quire; Canadian Children's Book News; Canadian Living; Novel & Short Story Writer's Market; Canadian House & Home; Ontario Dentist; Canada Foundation for Innovation; YourOralHealth.ca; and more. Please see the "Portfolio" section of my website, lifeonplanetword.wordpress.com, for a cross-section of my published work. Other Memberships In addition to being a member of CAA – Toronto, I’m a member of these professional organizations: Editors Canada, Toronto branch; Professional Writers Association of Canada (PWAC), Toronto chapter, as well as the PWAC Danforth Success Group (subchapter); CANSCAIP (Canadian Society of Children’s Authors, Illustrators and Performers); and The Canadian Children’s Book Centre.